more than one million tons of recyclable products every year. 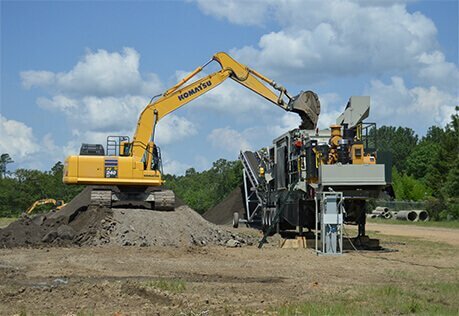 Strategically located on the central Gulf Coast, Sunbelt Crushing provides an efficient, dependable and economical turnkey solution for the demolition, processing, crushing and screening of material to practically any specification. Sunbelt Crushing can operate at one of our six plant locations or your job site – at a very competitive price. We accept clean, broken concrete for recycling at no cost at our six locations, which we process into recycled concrete base material. Our mission is to provide the highest level of service to our customers. We will treat our customers the way we want to be treated. We will operate our business on a highly professional basis. We will operate in a safe manner that will minimize the probability of accidents. We will be diligent in our efforts to protect the environment. Sunbelt Crushing, LLC. 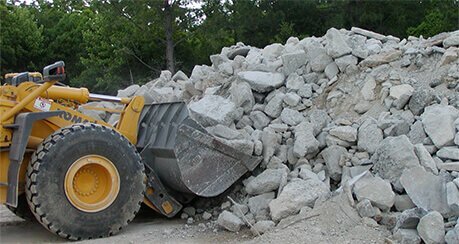 We accept clean, broken concrete for recycling at no cost at our six locations. Check our gallery to see some of our work and to know more about our company. We have six locations on the Gulf Coast and a portable closed circuit system for on-site processing. We have 6 locations to serve you!